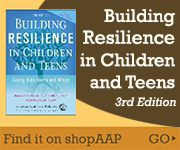 At any age, you can become overwhelmed and stressed when thinking about problems. You may not know where to get started. In this video, pediatrician and adolescent specialist Ken Ginsburg, MD, FAAP discusses strategies and tips to help children understand how to break big problems into small manageable pieces. 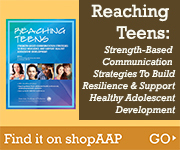 www.aap.org/reachingteens - A groundbreaking program that teaches youth-serving professionals how to incorporate strength-based, trauma-informed communication strategies, foster resilience-building, and support healthy adolescent development through videos, group learning, handouts, and quizzes.